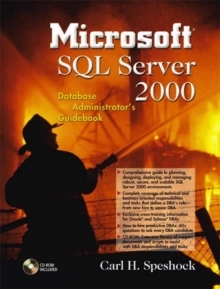 A straightforward guide to the role of IT departments and vendor's in assisting organizations in going green with the aid of IT-related resources and offerings. 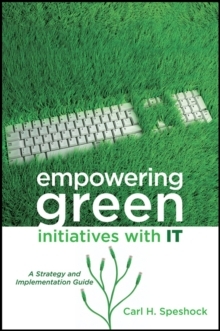 This book provides organizations with strategy, planning, implementation, assessment guidance for their Green initiatives. It discusses the many benefits of Green initiatives with the assistance, integration and collaboration of IT department and vendors, i.e. custom and vendor application development and reporting tools, Green IT examples, business intelligence dashboards that can perform analytical and predictive analysis of green related business data. * Outlines the major benefits to be gained through Green initiatives with IT * Shows you how your business can strategize, plan, implement, assess Green initiatives solutions with IT * Explores how to develop Green initiative strategies, plans, projects, and assessments that integrate IT resources and offerings effectively. Practical and thorough, this book includes helpful checklists, glossary, and resources to get started with your business's Green initiatives.